What does the name “Threema” stand for? Threema started life as an abbreviation: “EEEMA”, for “End-to-End Encrypted Messaging Application”. The three “E”s were a bit unwieldy, so it became “Threema”. Guaranteed privacy: Threema is designed to generate as little data on servers as technically possible. Full anonymity: You are not forced to provide any personal information (such as your phone number or email address) in order to use Threema. Optional contact synchronization: It’s not necessary to grant access to the address book in order to use Threema. Comprehensive encryption: With Threema, all your communications are end-to-end encrypted – not only text messages and voice calls but also group chats, media files, and even status messages. Comprehensive functionality: Threema is versatile and feature-rich. Open standards: Threema uses a cryptographic library which is open source. Threema sets itself apart from other encrypted messengers in many respects, not only in terms of functionality or the encryption quality but also in regard to privacy protection. Learn more. With Threema Work and Threema Gateway, Threema also provides solutions for secure communication in business contexts. In contrast to other messengers, your identity in Threema does not depend on a phone number. Each Threema user gets a randomly generated, 8-digit Threema ID when starting the app for the first time. This ID is your unique address in Threema and makes it possible to use Threema completely anonymously, without disclosing any personal information. Your Threema ID is just one of two components that make up your identity in Threema. The other one is the so called key pair (consisting of a public key and a private key) which is essential for the encryption. Your Threema ID is permanently tied to your public key. While the public key is sent to Threema's servers to be distributed to your chat partners, the private key remains on your device where it is securely stored. All messages directed to you will be individually encrypted with your public key on the sender's device. They can only be decrypted with your personal private key. What features does Threema offer? 1 Currently not available on Windows Phone. 2 Currently only available on Android. To test the features, you can use the ECHOECHO contact. Threema also supports tablets and smartwatches. Android: You can initiate a poll by tapping on the paperclip icon. iOS: Start a poll by tapping on the plus icon next to the text entry field. Have a look at an example in this video clip. The agree/disagree feature allows to agree or disagree with an incoming message without triggering a push notification on the chat partner’s device, providing an unobtrusive way of expressing your attitude toward a message. In a single chat, tap and hold on a received message to invoke the context menu. To agree or disagree with the selected message, tap “agree / thumbs up” or “disagree / thumbs down”, respectively. The agree/disagree feature is not supported in group chats. To save a chat outside of Threema, you can export it as encrypted ZIP archive (which will contain the chat as text file and, optionally, all media files). Please note that exported chats cannot be imported into Threema again; to transfer your chats to another device (or to restore them later on the current device), use a data backup. Android: In the chat list, tap and hold a chat, and then tap the “Share” button. You can save or send the chat as an encrypted ZIP file using your installed apps. iOS: In a contact’s or a chat’s detail view, tap “Export Conversation”. Windows Phone: Regrettably, it is not yet possible to export a chat. Threema uses state-of-the-art asymmetric cryptography to protect messages and calls between sender and receiver, as well as the communication between the app and the servers. Threema uses the Open Source NaCl library for encryption, which is open to independent audits. Anyone can validate Threema's correct application of the encryption. There are two layers of encryption: the end-to-end layer between the conversation participants, and an additional layer to protect against eavesdropping of the connection between the app and the servers. The latter is necessary to ensure that an adversary who captures network packets (e.g. on a public wireless network) cannot even learn who is logging in and who is communicating with whom. All encryption and decryption happens directly on the device, and the user is in control over the key exchange. This guarantees that no third party — not even the server operators — can decrypt the content of the messages and calls. Strength of the encryption: The asymmetric ECC based encryption used by Threema has a strength of 255 bits. Accordingto a NIST estimate (page 64), this corresponds at least with the strength provided by 2048 bit RSA. ECDH on Curve25519 is used in conjunction with a hash function and a random nonce to derive a unique 256 bit symmetric key for each message, and the stream cipher XSalsa20 is then used to encrypt the message. A 128 bit message authentication code (MAC) is also added to each message to detect manipulations/forgeries. Forward secrecy: Threema provides forward secrecy on the network connection (not on the end-to-end layer). Client and server negotiate temporary random keys, which are only stored in RAM and replaced every time the app restarts. An attacker who has captured the network traffic will not be able to decrypt it even if he finds out the long-term secret key of the client or the server after the fact. How does Threema compare to other messengers with encryption? Other messengers: Transport encryption. With some messengers, only the connection between the user’s device and the server is encrypted, e.g. using SSL/TLS. Although this means that messages cannot be intercepted while in transit (a common problem in public wireless LAN hotspots), they are in unencrypted form again once they reach the server. Threema: Full end-to-end encryption. Threema protects all messages using end-to-end encryption – not only messages in single chats but also group messages, files, and even profile pictures and status messages. A fallback to unencrypted or merely transport-encrypted connections is impossible. In addition, a separate transport encryption is used to protect the header information in transit. Other messengers: Proprietary encryption technologies and algorithms. Some messengers use self-created encryption methods which aren’t established or which are controversial among experts. Threema: Tried and trusted open-source encryption. Threema uses NaCl, a well-respected and widely used open-source encryption library. Using Threema’s Validation Logging, anyone can independently verify the correct application of the encryption. Other messengers: No means of verifying contacts’ public keys. If there is no way for users to verify that messages are actually encrypted with a contact’s proper public key, a messenger is open to MITM attacks. The service provider could easily manipulate the automatic key exchange in order to read or forge messages without users noticing it. Threema: Verification of contacts’ identities. With Threema, users can verify others’ identities by scanning their QR codes. This way, MITM attacks are prevented, and users can be sure that the key they’re using to encrypt messages to a certain user is actually the intended recipient’s public key, not someone else’s. Other messengers: Unspecified key-pair generation. Key pairs (private key and public key) are the pivotal element of asymmetric encryption, yet many messenger providers don’t disclose how the key pairs are actually created. If key pairs are created and distributed by the service provider, the provider could keep a copy of the users’ private keys, which essentially means that there is a backdoor. Threema: Local key-pair generation based on randomness. Threema’s key-pair generation is performed on users’ devices by means of randomness. The private keys never leave the users’ devices and remain unknown to Threema. Therefore, it is technically impossible for Threema to decrypt users’ messages. Other messengers: Insufficient protection on users’ devices. Chats and files that are stored on users’ devices are protected only by weak encryption or are not encrypted at all. Threema: Strong encryption on users’ devices. Chats and files that are stored on users’ devices are protected by strong encryption. External security audits regularly review all security aspects of Threema, the used algorithms and protocols are well-documented, and the correct application of the encryption can be verified independently. Comprehensive privacy protection requires solid message encryption, but there is more to it. Threema can be used without providing any personal information whatsoever. Instead of a phone number, the Threema ID (a randomly generated eight-digit string) serves as unique identifier. Linking a phone number and/or email address to one’s Threema ID is optional. Synchronizing your address book in order to retrieve your contacts’ Threema IDs (provided they have linked them, see above) is optional. If you don’t want to grant access to your address book, you can either scan your contacts’ Threema IDs or add them manually. In case you enable contact synchronization or link your ID with a phone number or email address, you can rest assured that Threema uses this information only temporarily for the specified purpose. Personal information is always hashed, both in transit and on disk. All data involved in communication other than the actual content is metadata. Serious privacy protection must include both protection of content and protection of metadata. The sole protection of content is insufficient because metadata allows to uniquely identify individuals, analyze their behavior, determine their circles of friends, detect their frequent locations, and monitor their communication behavior. Combined with data from other platforms, the picture that can be drawn of a person is much more detailed than one that could ever be drawn from message contents alone. It’s likely that many messengers are used to systematically collect and analyze users’ metadata. Threema, on the other hand, generates as little data as technically possible and only stores it as long as absolutely necessary. The Threema Advantage: To learn more about the differences between Threema and WhatsApp in regard to privacy protection, please consult this comparison. That’s your decision – Threema can be used without any address book access whatsoever. By default, the synchronization is disabled and no address book data will be read. In this case, you can add your Threema contacts manually (by typing in their IDs or scanning QR codes). If you decide to enable the synchronization, email addresses and phone numbers from your address book will only be transmitted to the server in one-way encrypted (“hashed”) form and are additionally protected using TLS encryption. The servers only keep these hashes in volatile memory for a short time to determine the list of matching IDs, and then delete the hashes immediately. At no point are the hashes or the results of the synchronization written to disk. Due to the relatively low number of possible phone number combinations, it is theoretically possible to crack hashes of phone numbers by trying all possibilities. This is due to the nature of hashes and phone numbers and cannot be solved differently (using salts like for hashing passwords does not work for this kind of data matching). Therefore we treat phone number hashes with the same care as if they were raw/unhashed phone numbers. Ensuring security and privacy is our main mission. Therefore, we review our code internally on a regular basis and with the greatest care. For encryption, Threema uses NaCl, a well-respected and widely used open-source library. Using Validation Logging, anyone can independently verify the correct application of the encryption. For a comprehensive documentation of the algorithms and protocols used in Threema, please refer to the Cryptography Whitepaper. How and where is my key pair generated? During initial setup of your Threema ID, a key pair for the encryption of messages based on Elliptic Curve Cryptography (ECC) is generated. This key generation is performed directly on your phone, without any server interaction. The private key never leaves your device. The random data necessary for key pair generation is obtained from the phone's random number generator and is mixed with further random data that you generate yourself by moving your finger on the screen. This ensures that even if a weakness is discovered in the phone's random number generator, the private keys of the users cannot be cracked. For more information about the cryptography in Threema, read the Cryptography Whitepaper. Is the use of Threema compliant with privacy laws? Threema meets the requirements of the European General Data Protection Regulation (GDPR). As a Swiss company, Threema is also subject to Switzerland’s strict Federal Act on Data Protection (DSG) and the accompanying Ordinance to the Federal Act on Data Protection (VDSG). Threema does not use phone numbers to address users and can be used anonymously without uploading phone book data. It is therefore also suited for childern under the age of 16. In contrast to conventional messengers, you can therefore be sure to comply with privacy laws when using Threema. How can I find out which data Threema has stored about me? You can obtain all data that is stored about your ID at Threema in machine-readable form. Send a message with the text «info» to the Threema ID *MY3DATA. You will immediately receive a reply with the stored data in JSON format. To remove linked phone numbers or email addresses, see How can I unlink my Threema ID from an email address or phone number?. To remove all data, revoke your ID. What kind of data is transmitted via push notification services? Threema uses the Apple Push Notification Service (APNS) to inform recipients with iOS about new messages while the app is closed or in the background. The APNS message contains a payload that has been encrypted with a symmetric key, which is negotiated between the app and the Threema servers and is not known to Apple. Within this encrypted payload, the Threema ID and nickname of the sender, the message ID, and the fact whether it is a direct or a group message, are transmitted. The Threema app is started in the background for each incoming push notification, decrypts the push payload, downloads the corresponding message directly from the Threema servers, decrypts it and shows a local message preview (if enabled) and the contact name of the sender. Threema uses Google Cloud Messaging (GCM) to inform the Threema app of recipients with Android about incoming messages in the background. The app then fetches messages directly from the Threema servers, decrypts them and displays a local notification. Neither contents nor details about messages are transmitted via GCM (the GCM payload is empty). You can choose whether or not you would like to use Threema with Google Services. The option “Troubleshooting > Activate Polling” allows you to use Threema without GCM. However, we don't recommend this. The development of a custom push-service is difficult, since its reliability depends on numerous factors. We are therefore consciously using the recognized push services of Apple, Google and Microsoft. They are already installed on the vast majority of devices. Furthermore, channelling push notifications saves battery power. The recipient can disable read receipts in Threema settings (privacy). Note: due to technical reasons, messages to recipients with Windows Phone will only show the status “delivered” or “read” when the recipient has opened the app to read the message. However, the push notification that informs the recipient about the new message should still appear within a few seconds (typically). If these symptoms occur, either push notifications aren't working properly or there is a problem concerning background activity. Please follow the troubleshooting instructions for Android, iOS, or Windows Phone. Please send a message to the ID ECHOECHO. If this works and you receive a response, you're fully able to send and receive messages, and the problem is most likely on the recipient's side. Make sure that the Threema ID displayed for the contact you want to reach is still actively used by the recipient. The latter might be using a new ID, in which case messages to the old ID are being misrouted. This can easily be prevented by deleting old IDs and removing duplicate contacts. Maybe your ID has been unintentionally blocked by the recipient. Ask the recipient to check this in your own contact's details (iOS: Contacts > Contact details > “Block contact” (at the very bottom); Android: Threema > Contacts > Tap and hold on the contact > Settings > “Deblock contact”). Please also make sure that you have not blocked the recipient yourself. Messages and media are stored on the servers until they have been delivered successfully, or until 14 days have elapsed (whichever happens first). Android: Long-tap the contact in the contact list and open its details. Open the menu and choose “Block contact”. iOS: Tap the contact in the contact list and scroll down to the option “Block contact”. Windows Phone: This feature is currently not available. A blocked contact doesn't see if he or she is blocked. Threema allows you to block messages from unknown users in general. You will find this option in “Threema > Settings > Privacy > Block unknown”. Please note: When the option “Block unknown” is on, you might not receive messages from your friends if you didn't save their details in your address book or if they didn't link an email address or phone number to their Threema ID. This could make them believe that the sending of messages isn't working properly. Specific contacts can be excluded from your contact list by using “Threema > Settings > Privacy > Exclusion list”. To make Threema Calls, port 3478 needs to be open for outgoing UDP traffic. Yes. If you are a group admin, you can add members or remove them from the group chat. Like single chats, group chats are end-to-end encrypted in Threema. For privacy reasons, groups are not managed on our servers but directly on users’ devices. Since there is no information concerning group compositions stored on the server, groups can become asynchronous, e.g., if a user restores a data backup or is absent for an extended period of time. If a group is asynchronous, we recommend resynchronizing it first. Only the group administrator can initiate a synchronization (in the group's detail view). Should the problem persist, please remove the group member due to which the group became asynchronous (see above), and add them again. Android: In the group chat, tap on the title bar. iOS: In the group chat, tap on the title bar, and then tap on the bar that appears underneath it (containing tokens of the group members). Windows Phone: In the group chat, tap on “…”, and then tap on “group details”. If some members cannot see messages in a group chat, it is usually because they have activated the option “Block Unknown”. Disable the “Block Unknown” option in Threema > Settings > Privacy to receive all group-chat messages. In your contact list, inactive IDs are greyed out (contacts that haven't been active for more than three months). As soon as they resume using Threema, they appear as active contacts again (within 24 hours). In a group chat, only contacts that are running a group chat capable version of Threema (and who have started it at least once since the update) can be selected. Some of my contacts are displayed twice in my address book — what can I do? You can get rid of duplicate contacts by deactivating the setting “Show inactive IDs” (Android and Windows Phone) or by activating the setting Hide Stale Contacts (iOS) in Settings > Appearance. Stale contacts are IDs that haven't been used for more than three months. Therefore, it might take a while for contacts to be marked as inactive. Alternatively, you can delete every contact that is listed multiple times. After each deletion there will be a question whether you would like to exclude the respective contact from future synchronization processes. Please decline that option every time. After you synchronize your address book again, only active contacts (Threema IDs) will be displayed. If you wish to stay informed about Threema-related topics, you can add the Threema Channel to your contacts and receive interesting news directly within the Threema app. The Threema Channel features several feeds for different topics. You decide which feeds you want to subscribe to, and you can cancel subscriptions at any time. Then, send the keyword “info” to the Threema Channel to get a list of available feeds and subscribe to the ones you like. You can mute the Threema Channel if you prefer not to receive push notifications. What’s the purpose of the “ECHOECHO” ID? In recent versions of Threema, the “ECHOECHO” ID is listed among your contacts by default. It can be used to test message transmission. You can delete the ECHOECHO contact at any time (and, if need be, add it again manually). What does the tilde character in the contact list mean? The tilde character (~) in front of a contact’s name indicates that the name is a nickname (e.g. “~Bob”). A user can choose any nickname, which might not correspond to the actual name of said user (e.g. “Robert Smith”). Threema Safe is available in Threema for Android and Threema for iOS. Threema for Windows Phone will add support for Threema Safe with an upcoming update. Threema doesn’t store your data on a central server, your data is only stored on your local device. This provides the best protection against unauthorized access. To prevent that your Threema ID, your contacts, and your groups (as well as other data and some settings) are lost if you ever happen to lose access to your device, Threema Safe regularly creates an anonymous and encrypted backup of this data on the Threema server or on another server of your choice. Threema Safe is platform independent. No matter what Threema version (Android, iOS, or Windows Phone) was used to create a Threema Safe backup, it can be restored on any platform. This allows to conveniently transfer basic Threema data from one platform to another. Learn how to store your Threema Safe backup on your own server in this guide. Which data does a Threema Safe backup contain? Threema Safe backups don’t include chats, media files, and profile pictures of contacts and groups. To save chats, please create a data backup or use the export feature. How often does Threema Safe create a backup, and how long will it be preserved? Provided that changes were made to the data to be backed up and an Internet connection is established, Threema Safe creates a backup approximately every 24 hours. Each backup replaces the previous one. To manually trigger the backup process, open the side drawer in Threema for Android’s main screen by tapping the three horizontal bars in the top left corner, select “My Backups”, and tap “Backup now”. If the Threema app on your device doesn’t connect to the Threema server for 180 days, your backup will be deleted automatically from the server. To manually delete your Threema Safe backup, simply disable Threema Safe in My Backups > Threema Safe. What makes Threema Safe secure? Threema Safe encrypts the backup data using the password you specify. To derive a cryptographic key from the password, the scrypt algorithm is used. This algorithm is memory- and computation-intensive in order to render brute force attacks challenging. It is, of course, still important to choose a secure password. The compressed backup data is encrypted using the NaCl library, which applies the XSalsa20 and Poly1305 algorithms. The backup’s file name is also derived from the user’s password. Therefore, the Threema Safe server cannot determine which backup belongs to which ID. Finding (and, of course, decrypting) the backup of a given ID is only possible if the backup’s password is known. Threema Safe is optional, and you can store backups either on the Threema server or on your own server. For technical details, please refer to the Cryptography Whitepaper. How do I restore a Threema Safe backup? In the setup wizard, select “Restore from backup”, and follow the on-screen instructions. If you don’t remember your Threema ID, you can tap “Forgot your ID?” to retrieve it in case you have linked it to a phone number or email address. If you don’t remember the password of your Threema Safe backup, there is no way to restore it. How do I store my Threema Safe backup on my own server? Threema Safe can be used with any WebDAV server (such as NextCloud), provided that the server can be reached via the Internet and is equipped with a valid, trusted TLS certificate. To support iOS clients, the server needs to be compliant with the ATS requirements. Please note that we cannot provide support for server setup and configuration. Deactivate “Use default server”, and enter the URL to your Threema Safe directory (as defined above), e.g., https://myserver.org/path/to/threema_safe. If your server requires HTTP authentication, please specify your username and password. When you switch your device or reset it to factory settings, you can transfer your Threema ID and use the app as usual. To transfer your ID, you need a Threema Safe backup (recommended) or an ID export. A data backup contains your ID, but it can only be restored on the same operating system it was created on (i.e., you can’t restore a data backup that was created on Android on iOS, and vice versa). For this reason, it’s recommended to create a Threema Safe backup or an ID export. An ID export only contains the ID; it doesn’t contain chats, group memberships, media files or your contacts' green verification levels. Threema Safe backups, on the other hand, also contain contacts, groups, and privacy settings. You can also export chats. If you switch devices, it’s advisable to remove your Threema ID from the old device once you have restored the ID on your new device. To create an ID export, tap on the three horizontal bars in Threema's main screen first; then, tap on your ID. Select “Export ID”, and choose a password. Make sure to memorize this password; without it, you will not be able to restore your ID. Your ID data (consisting of your private key) will be encrypted and shown to you as a text string and QR code. Save the ID export in a secure location. You can also send the information to yourself by email. To create an ID export, tap on “My ID” in the app, select to “ID export”, and choose a password. Make sure to memorize this password; without it, you will not be able to restore your ID. Save the ID export in a secure location. You can, for example, send it to your own email address. You can also include your ID export automatically in the next iTunes backup. To create an ID export, navigate to “Settings” and select “Backup”. Choose how to save your ID export: on OneDrive, as text code, or as QR code. Tap “Backup your Threema ID”, and choose a password. Make sure to memorize this password; without it, you will not be able to restore your ID. Your ID data (i.e., your private key) is now encrypted and saved on OneDrive or displayed as text string or QR code. Android: In the sidebar, tap on your ID, then select “Delete ID”. iOS: In the tab bar, tap on “My ID”, then select “Delete ID”. Windows Phone: In the “My ID” tab, select “Delete ID”. Please note: The ID will be deleted only on the current device; if it is set up on another device, it will not be deleted there. Also, the deleted ID can still be restored using a backup or an ID export. After deleting the ID, you can restore an ID as you would when starting Threema for the first time (see below). When starting Threema for the first time, select “Restore from backup”, tap on “Other restore options”, and select “Exported ID”. When starting Threema for the first time, tap “Restore from backup” (and select if you want to keep or delete local data), and then tap “Exported ID”. 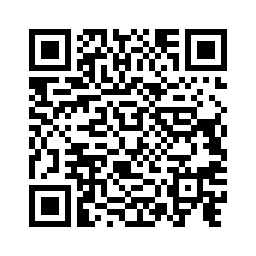 Finally, scan the QR code of your ID export or enter the string manually. Ask your chat partner if he or she can send you the messages/media files once more, or if he or she can export the conversation as a text file. Adjust Threema's settings to automatically save incoming media files to the standard media folder of your operating system. This will keep these files accessible to you even if you delete the app. Create a PIN lock for your app, e.g. to protect your ID in case of theft of your device. Select the desired contact in your contact list, and tap the phone icon in the title bar (Android), or tap “Threema call” (iOS). Alternatively, tap the phone icon in a chat’s title bar. Please note that the system requirements must be met by both the caller’s and the callee’s device in order to make Threema calls. How can I disable Threema calls? If Threema calls are disabled, it’s also impossible for you to call contacts via Threema. What is the data-transfer rate for voice calls? While a voice call is ongoing, approximately 750-800 KiB of data is transferred per minute. If you hear your own voice as an echo during voice calls, the echo cancellation doesn't work correctly on your call partner’s device, and the sound from the earpiece is sent back to you through the microphone. Please ask your call partner to change the Echo Cancellation in Settings > Troubleshooting (form “Hardware echo cancellation” to “Software echo cancellation” or vice versa). Ringing: The phone is ringing at the recipient’s end. Busy: The recipient either rejected your call or is already talking on the phone to someone else. Pickup: A connection has been established; you can talk to the callee. Hangup: The connection was dropped. Problem: The connection has been interrupted; an attempt to re-establish the connection is in progress. Why do I only receive messages once I open the app? There can be different reasons why incoming messages are not received until the app is opened. The main reasons are: 1.) the app isn't allowed to run in the background; 2.) the apps isn't allowed to transmit data in the background. Please navigate to “Settings > Troubleshooting > Fix device configuration problems” in Threema. First, select “Disable power restrictions” (if available), and follow the on-screen instructions. Then, select “Enable background data” (if available), and follow the on-screen instructions. Restart device: First, reboot your phone. Check connectivity: Make sure that your device is connected to the Internet. Navigate to “Android settings > Wi-Fi > Advanced”, and set “Keep Wi-Fi on during sleep” to “Always”. Review app notification: In “Android settings > Sound & notification > App notifications > All apps > Threema”, “Treat as priority” must be enabled and “Block all” disabled. Disable “restrict background data”: First, navigate to “Android settings > Data usage”, press the menu button, and make sure that “Restrict background data” is disabled. Then, tap on “Threema” in the list, and make sure that “Restrict background data” is disabled. Repeat this process with “Google Play services”. Deactivate Android’s Battery Saver mode or add Threema to exclusion list: Turn off your device’s Battery Saver mode, or add Threema to the exclusion list: In Android settings, navigate to “Battery > Battery optimization > All apps”, scroll to “Threema”, and select “Don’t optimize”. Reset notification sound settings: In Threema, navigate to Settings > Troubleshooting > Reset, and select “Reset notification sound settings”. Reset push token: If the issue persists after you have completed all steps listed above, please reset the push token in Threema “Settings > Troubleshooting > Reset push token”. Update Google Play services: Make sure that you are using the most recent version of Google Play Services. Data Saver in Android 7 and above: If Data Saver mode (in Settings > Network & Internet > Data Usage) is turned on, “Unrestricted data access” must be turned on for Threema (in Settings > Network & Internet > Data Usage > Unrestricted data access > Threema). Immediate notifications: If the push service is working properly but push notifications aren’t displayed, please activate “Immediate notifications” in Threema > Settings > Troubleshooting. If this experimental setting is enabled, a generic notification will be displayed if incoming messages can't be downloaded. Force-quitting Threema: If you forcibly quit Threema in the App Manager, you won’t receive push notifications until you reopen the app. Third-party applications: System-optimization apps by third-party developers can interfere with Threema. If you use anti-virus, battery-saver or similar apps, please temporarily deactivate them for testing purposes, or add Threema to the apps’ exclusion lists. Muted chats: If you don’t receive notifications of incoming messages from a specific contact or group, select “Notification settings” in the chat’s menu, and make sure that “Disable notifications” is deactivated. Delays on Android 6 and above: On Android 6 and later, push notifications will be delayed by a few minutes if your device is stationary for a certain amount of time. This is due to Android’s Doze Mode, which significantly reduces power consumption during standby. Polling: If Polling is activated in Threema > Settings Troubleshooting, notifications of incoming messages will be delayed (depending on the selected interval). Should the problem persist after you have considered all suggestions listed here, please contact the manufacturer of your device. The latest Threema version for Android requires Android 4.1 or above. Create a data backup in Threema including media files (find out how). Go to Android > Settings > Apps > Threema. Tap on “Delete data” and uninstall the app. Do the same for Threema's plugins. Reboot your phone and reinstall the app and the plugins. Open Threema and restore the previously created backup with our setup wizard. On Android, distribution lists can be used to send messages to multiple recipients. In contrast to group chats, messages are sent to the recipients separately when using distribution lists. Thus, the recipients are unaware of the fact that other recipients have received the same message. Sending a message to a distribution list is essentially the same as sending the message to each member of the distribution list in a single chat. Starting with Android 8.0, apps are required to assign their notifications to so-called “notification channels”. These channels determine which signals (notification sound, light, vibration, etc.) incoming notifications trigger. For privacy reasons, Threema doesn’t create a separate notification channel for each contact but one for each combination of notification settings. A channel’s ID is a hash of its notification settings. Only edit notification settings for chats and calls in Threema (in Settings > Sound & Notifications or in a chat’s individual notification settings), not in the system preferences. Changes made in the system preferences will be lost. If you use a Xiaomi device (including Pocophone) running MIUI 10 or later, please enable notification signals as outlined in this guide. If an app like Threema creates a notification channel in MIUI 10, only vibration can be enabled as notification signal, all other signals (heads-up, sound, notification light, etc.) are disabled by default and must be enabled manually. When a new notification channel is added (i.e., when you start using a new combination of notification settings), you will also need to enable that channel’s notification settings as outlined above. Due to restrictions by Xiaomi, there is no way for Threema to automatically adjust the notification-channel settings for you. For some selected apps, Xiaomi has enabled all notification signals by default. Please get in touch with Xiaomi to learn more. To use Threema Web without having to scan the QR code each time, you can set a session password. On web.threema.ch, enter a session password before scanning the displayed QR code. To use Threema Web the next time on the same computer, you can simply enter this password (instead of scanning the QR code again). This way, it’s also possible to use Threema if your mobile device isn’t present (provided it’s connected to the Internet). The different sessions are listed in the Threema app, where you can remove and rename them. Threema Web is currently available in English and German. If German is set as preferred language in the browser, German is used; English is used in all other cases. If sessions are not saved despite using a session password, browser settings might prevent the data necessary for restoring sessions from being stored locally. Adds the given ID to the contact list if it's not already on it, and shows the contact details. For all URLs below, a parameter “id” can optionally be added to specify the target ID. If the ID is not supplied, a contact picker will be shown first. In all cases, user confirmation (pressing the “Send” button) will be required before the message/image is actually sent. Opens a message composer and puts the given text in the input box. Accepts an (unencrypted) image on the general pasteboard. A message composer is opened and a preview of the image appears. The user can then send the image by tapping the appropriate button. Allows passing encrypted image data through the general pasteboard. The image data must be encrypted with AES256 in CBC mode with PKCS7 padding and a zero IV. A new, random key should be used for each invocation.The key must be given in hex. The pasteboard type (UTI) must be “ch.threema.app.imgenc”. If the image data has been successfully decrypted, a message composer is opened and a preview of the image appears. The user can then send the image by tapping the appropriate button. Threema accepts the UTI “public.image”. If an image file is opened with Threema (via UIDocumentInteractionController), a contact picker is shown. Once the user has chosen a contact, the message composer is opened and a preview of the image appears. The user can then send the image by tapping the appropriate button. Ensuring security and privacy is our biggest mission. Therefore, the source code of both the server and the client software is externally reviewed on a regular basis. Threema Work is the secure communication platform for organizations. To learn more, please refer to the Threema Work website. How can I invite friends to join Threema? Android: In the main view, open the side drawer, tap «Invite a Friend», and choose the desired service. iOS: In Threema, navigate to «Settings > Invite a Friend», and choose the desired service. How can I verify the Threema support ID? 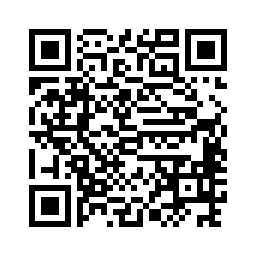 Android: In Threema, open the side drawer, tap on the camera icon next to the QR code, and scan the QR code below. iOS: In Threema, navigate to My ID, tap on the camera icon in the top right corner, and and scan the QR code below. Windows Phone: In Threema, navigate to “contacts”, tap the QR code icon in the toolbar at the bottom of the screen, and scan the QR code below.